Barney Vallely's is located right in the heart of Cologne's 'Altstadt' (old town). 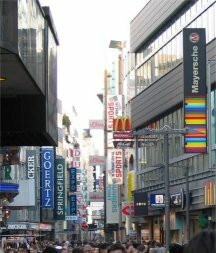 From 'Kleine Budengasse' you can reach most of Cologne's famous tourist attractions in a matter of minutes. 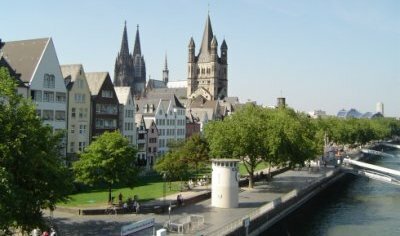 Cologne is not only a World Cup host city in 2006 but also plays host to a series of hugely popular events all year round, every year. 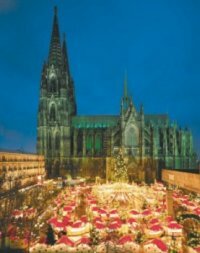 Cologne is renowned for it's 'Weihnachtsmärkte' or Christmas markets and Barney Vallely's is located right beside two of the biggest and best, at the Dom (Cologne cathedral - Roncalliplatz) and at the Alter Markt. Other popular events include Cologne's fireworks festival (Kölnerlichte) and music festival (Ringfest) which take place every summer. 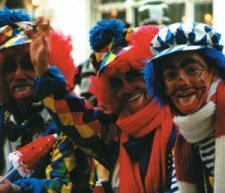 One of Cologne's biggest attractions is Karneval! A week long festival of fancy dress, parades and of course Kölsch! 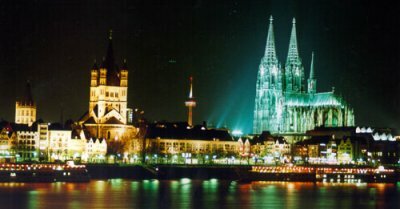 Taking place around February time, each year, this festival is one of Cologne's most famous attractions. Come Karneval time Barney Vallely's is always right in the middle of the action! Cologne has many interesting museums, numerous trade fairs (just accross the river at Deutz) and offers many many other things to do all year round - visit the Dom, take a boat trip down the river Rhine or go shopping for bargains on 'Schildergasse' and 'Hohe strasse' - and when you've had enough of the sales or the sculptures drop into Barney Vallely's for a drink or two!